Uber and Lyft Accident Attorneys Broward County FL | Gonzalez & Cartwright, P.A. Ride sharing services such as Uber and Lyft add significant value for the residents of the Broward County, who frequently commute to Pompano Beach, Fort Lauderdale, Pembroke Pines and other nearby communities for both work and recreation. Despite the value added by Uber and Lyft, complications frequently arise when an Uber or Lyft driver is involved in a car accident where one or more parties suffers an injury. 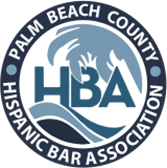 At Gonzalez & Cartwright, P.A., we are a Hispanic-owned law firm dedicated to providing authentic support for clients throughout the Hispanic community of Broward County. 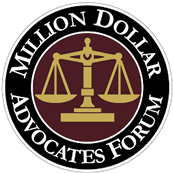 We know that the legal system can be difficult for anyone without legal training to navigate, and that determining how to obtain compensation for your injuries can become even more complex if English is not your first language or your immigration status is in question. When you retain attorneys Gonzalez & Cartwright to help in your case, we dedicate ourselves to fighting on your behalf throughout every step of the legal process to make sure you receive the compensation that you deserve. If you have sustained injuries in an Uber or Lyft accident, call our Spanish-speaking personal injury lawyers today to see how we can put our skills to work for you. Who is Responsible for Injuries Sustained in an Uber/Lyft Accident? $50,000 in physical injury or death coverage if the driver has his or her Uber/Lyft app running, so is actively looking for a passenger. In many cases where you sustain only minor injuries, your own PIP coverage will continue to apply under Florida’s no-fault rule. However, if your injuries are more significant, you are able to pursue a claim for compensation against the at-fault driver. Even if the Uber/Lyft driver was not the driver at fault for the accident, if you were a passenger in an Uber/Lyft and injured in an accident, the higher limits will apply to ensure you are properly compensated. At Gonzalez & Cartwright, P.A., our Uber/Lyft accident lawyers understand that the laws surrounding ride-sharing services are new and evolving, and take all measures necessary to keep pace with developments in the area. We are experienced in ensuring that all of our clients who have sustained injuries in Uber or Lyft accidents through no fault of their own are compensated to the fullest extent possible. Our Uber/Lyft accident lawyers will work tirelessly to investigate your case in order to determine all of your options for recovering compensation for your injuries, and will leave no stone unturned in devising an innovative recovery strategy in your case. If you have questions after sustaining injuries in an accident involving an Uber or Lyft driver in Broward County or elsewhere in Florida, contact our Broward County personal injury lawyers either over the phone or filling out this online contact form, to schedule a free initial consultation today. Our main office is conveniently located at 813 Lucerne Ave, Lake Worth, FL 33460, and we also have an office in Pompano Beach, Florida. Broward County is located in in the southeastern part of Florida, and is bordered on its western side by the Conservation Area that extends to border Collier County. Much of the conservation area is part of the Everglades National Park and consists of wetlands, which is an area of land that is saturated with water. However, of the developable land in Broward County, the majority is built upon approximately 471 square miles, as the urban area is bordered by the Atlantic Ocean to the east and the Everglades Wildlife Management Area to the west. Broward County is a popular tourist destination because of its beaches and proximity to the Atlantic Ocean. It is home to a number of bars, restaurants, coffee shops, and parks, and offers a suburban feel. Many young professionals live in Broward County and residents tend to be liberal. Broward County is considered to be a part of the metropolitan Miami area, and is considered highly populated, with about 1,935,878 residents as of the 2017 census. Ride sharing services such as Uber and Lyft have recently become popular in the area, as many residents commute for work and recreation. FAQ: What if I am an Uber/Lyft driver and am not currently looking for or carrying a passenger, but am injured in an accident? If you are using your vehicle for personal use, rather than as an Uber/Lyft driver, the general Florida insurance rules will apply and you will look to your own insurance policy for compensation if you have been injured. FAQ: How can a personal injury lawyer help me recover compensation after I was injured in an Uber/Lyft accident? All insurance companies have an incentive to pay out the smallest possible compensation award. While it may be tempting to accept a low offer, our experienced personal injury lawyers can negotiate with the insurance company to make sure all of your expenses are covered. Further, in Uber/Lyft cases, it can be difficult to even know whose insurance company is responsible, and we can help make sure you pursue every avenue for recovering full compensation.